Smoked. Sliced. Ready to Enjoy. The best meats are even more delicious with the best cheeses. Deli meats and cheeses for top deli tastes. Authentic, classic flavors. Top quality. Waco Beef & Pork Processors: best cheese and deli meat selection in central Texas. Roast Beef. Black Forest Ham. Head Cheese. Roast Turkey Breast. Smoked Cheese. We sell genuine Wisconsin cheeses. With a reputation for excellent flavor and smooth creaminess, Wisconsin cheeses are considered the best. Home of the original Colby cheese. Delivering delicious deli meat and cheese flavors throughout central Texas. Waco B&PP offers top commercial services for eateries in central Texas. Same or next day delivery: for rush orders and special events. Customized bulk orders: follow a special recipe or create a unique taste for your menu. Special selection available: certified organic deli meat or Kosher meat available by special order. Waco Beef & Pork Processors: Top suppliers of highest quality deli meats and gourmet cheese throughout central Texas. We provide the top selection of deli meats to grocers and delis. Same and next-day delivery by special order. Daily delivery in refrigerated, commercial trucks. Grocery: Pre-sliced deli meat for packaging and customized meat trays. For individual retail sale in groceries and convenience stores. Catering: Pre-sliced deli meat for your catering tray arrangements. Bulk sliced meats for self-serve eating at special and corporate events. Restaurants: Top selection of whole and pre-sliced deli meats for delis, lunch counters, diners, and sandwich restaurants. Wholesale and bulk sliced meats for quick-prep and traditional deli counter service. We offer a selection of the best smoked, cured, and seasoned deli meats. We smoke all our meats over hickory, to custom and specialized recipes. Enjoy the widest range of flavors. Offer diners the tastiest selection. Black Forest Ham. Roasted Turkey. 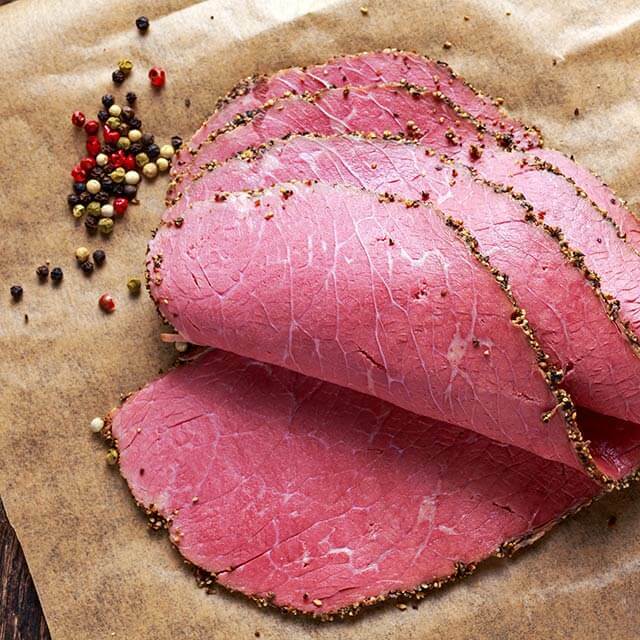 Pastrami. Capicola. Sausages. We offer whole smoked meat as well as pre-sliced smoked deli meats. Bacon: whole slab, rind less or rind-on, thin or thick sliced, hickory smoked. Bulk packaged for your convenience. Try our Holy Smoked Boneless Ham: similar to Black Forest Ham, made with Texas pride. Waco Beef & Pork Processors have over 120 years of combined experience smoking meats. Every country in Europe has its own recipe for pork or beef head cheese. Traditional, authentic taste, ready to slice and serve in any deli. Waco Beef & Pork Processors is proud to offer a selection of European and American head cheese. Top recipes for best flavors. Custom bulk orders available to suit your tastes. Certified Black Angus roast beef and Certified Angus Prime Beef. Top grade and top quality. Most recognized brand for excellence. Waco Beef & Pork Processors: Serving central Texas the best deli beef. Kosher or 100% organic available by special order. An essential menu item for every deli. Popular, juicy, classic deli sandwich ingredient. Our roasted and cooked turkey selection are individually-seasoned and professionally prepared for top juiciness and flavor. Variety of standard smoked and oven-roasted turkey recipes. Special order unique selections, such as specialty Cajun deli turkey or a seasonal flavor for a favorite holiday. Custom orders welcome. Cut or sliced deli turkey. Whole roasted turkey breast for in-house slicing and preparation. Or hand-sliced roast turkey breast delivered to you ready to serve. Waco Beef & Pork Processors: we know great tasting turkey. Ham is a popular lunch meat. Essential menu item for many delis and diners. Delicious flavors developed from around the world. Deli cooked ham is available on or off the bone, whole or pre-sliced. Sliced deli ham is perfect for catering corporate events or hosting special occasion functions. Boiled Ham: A classic recipe for any deli. Seasoned, boiled, and prepped. For sandwiches or center plate. Honey Ham: Seasoned and prepared for perfect sweetness. Works with other deli meats or alone. 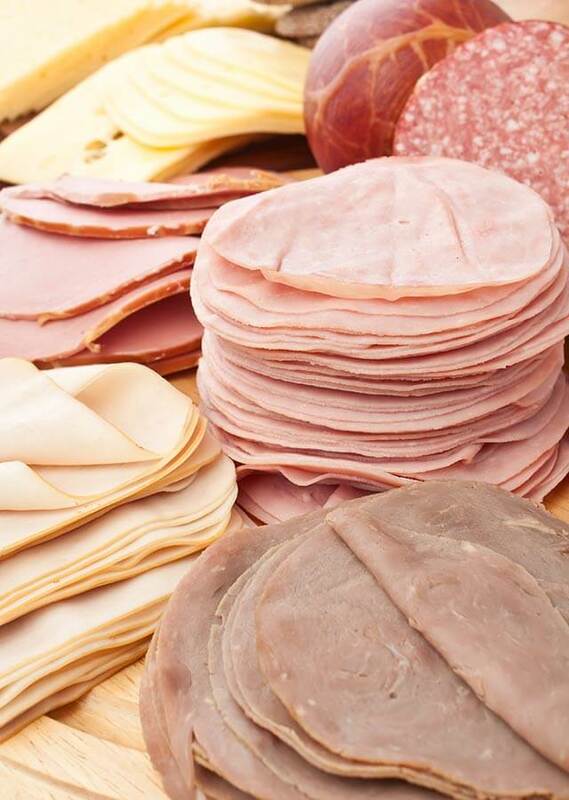 We offer a selection of specialty deli hams. Cappicola. Prosciutto. Eisleker ham. Waco Beef & Pork Processors: offering the finest selection of standard and specialized deli hams from around the world to tables in central Texas. Award-winning sausage makers. Specializing in Old World sausages. Authentic taste with a Texas twist. Makers of Holy Smoked Sausage! brand. Award-winning sausage with top Old World flavors. Spicy and savory addition to any deli menu. Chorizo. Mortadella. Salami. Pepperoni. Enjoy the best sausage selection of sausage flavors from around the world. Waco Beef & Pork Processors: We know what makes sausage great. A popular staple of any deli. Roasted top-grade beef for best flavor. Seasoned and individually wrapped. For hand-slicing in house or pre-sliced to serve. Hand-crafted roast beef. Care and dedication in every bite. 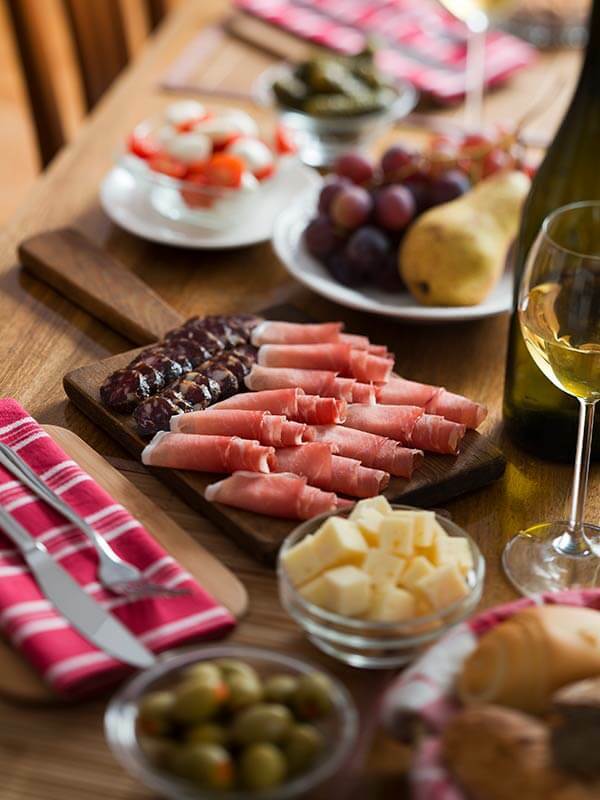 Consult with one of our experienced deli meat and cheese experts on your menu options and flavor combinations. Over 120 years of combined experience in flavorful meats. Expertise with the best cheese. Top deli meats deserve the best gourmet cheese to accompany them. From Swiss to American, from French to Italian cheeses. Top tastes of the world brought to every meal in central Texas. Award winning flavors. Top aged cheese. Fresh Wisconsin cheese. Yellow or white cheese. Waco Beef & Pork Processors offers brick cheese, pre-sliced cheeses, and pre-grated cheese for deli counters, catering events, and grocery selection. Cheese curds are a popular, flavorful snack. A treat found at many delis, restaurants, fairs, and restaurants. Specialty grocery stores may also offer a selection for home cooking. Known as “squeaky cheese” in parts of the US, cheese curd can be fried, baked, or used in various recipes. Waco B&PP offers a variety of top quality Wisconsin cheese curds. Bulk and wholesale orders of the freshest, highest quality. Waco, Texas Based. Tastes from Across America. Waco Beef & Pork Processors proudly operate from our central location in Waco, Texas, bringing central Texas diners the best selection from around the country. While we process many of our own meats, delivered from throughout Texas and neighboring states, we also bring in the top selection from across the country. Top authentic gourmet cheese. Specialized deli meats from award-winning brands. For restaurants and delis with a traditional flavor. For palates with a modern craving. For special events and large gatherings. Waco Beef & Pork Processors: The best tastes for every diner. Serving the best chese and deli meats to the best people.